I Preached a ‘dud’…now what? You just stepped down from the stage and you know it. Your wife knows it too. You preached a dud. At least you think you did. And probably a number of people in the church thought so as well. But what are you to do? Wallow? Sulk? Lament? Weep? Let me rephrase the question – what are WE to do. This post isn’t just for you – it’s for me too. I write this post as an expert. I preach duds. At least I think I do. I don’t say that to grab encouragement (though I’ll take it!) and I also don’t say that to question my gifting. I am sure of the Lord’s calling and also sure of reality. Don’t be shocked, but sometimes, preachers preach duds. And God has His purpose in them. Even our heroes bring a dud from time to time. I’ve heard duds from Keller, Piper, & Chandler. At least I thought so. 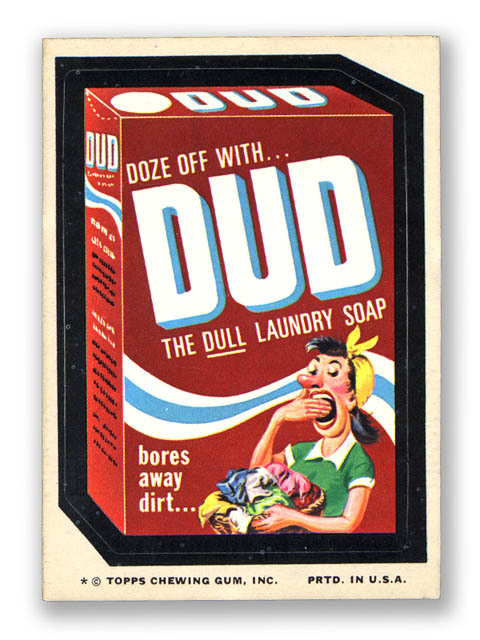 The “dud” is in your (our) eyes. You thought it was a dud (I’m sure others did as well). I thought my sermon was a dud (I’m sure others did also). I thought Piper’s was a dud (I’m sure others did too). But you know what else is true? Others were blessed by it. Others thought that you preached one of the most helpful messages they have ever heard. Sure, you thought it was a dud – but someone in the church was meant to hear that sermon according to the gracious providence of God. The first thing we should do is change our thinking. That sermon may not have been crafted by God to immediately bless everyone, but it was designed to instantly hit another. Reread that last sentence: “that sermon may not have been crafted by God to immediately bless.” Consider the truth that is tucked away in those words. That sermon may not immediately bless, but God knows what it may do over time. Your main points may not have blow anyone’s socks off, but maybe the Scriptures you referenced got tucked in their heart. Now a saint has been armed with the Word of God. You didn’t intend that – but God did. Our job is to throw the seeds of God’s truth upon the people that God has given us. The Gospel ministry is a seed and growth takes time. We have no clue what fruit may be harvested weeks, months, and years after a sermon or collection of messages. I remember receiving a text message that read, “Hey, I never told you but those messages you did on the Glory of God – changed my life forever.” I had no idea. When did I hear about this? At least two years later. Brothers, don’t immediately judge a dud – but trust God’s providence. 10 “For as the rain and the snow come down from heaven and do not return there but water the earth, making it bring forth and sprout, giving seed to the sower and bread to the eater, 11 so shall my word be that goes out from my mouth; it shall not return to me empty, but it shall accomplish that which I purpose, and shall succeed in the thing for which I sent it. God’s Word will never return to Him empty and void. It will accomplish the purpose that He designed. Your sermon may not accomplish your purpose – but it will accomplish God’s. Maybe we need to revisit our vision for preaching. Is faithfulness our goal? Or is it preaching slick sermons? In your sermon, did you read the Bible? If so, God is at work. God is at work even among those who proclaim the Word from a sinful motive. This isn’t being simplistic, this is being Biblical. God is at work and we don’t even know it. He may even keep you from knowing it. He will grow humility in a preacher. And He might want to do it by making you depend more and more on the Spirit and not your sermon skills. So…you preached a dud. Learn what you can and move on. Don’t pout over your paper airplane that didn’t take off. Start over. Refine. Pray. Seek. Pray. And…pray. Remember, God works with duds. Look in the mirror. Good stuff. Thought I preached a dud a few weeks ago and a few people said they were blessed by it. The Holy Spirit is shaping hearts while we are worried about pleasing ears. Thanks bro!! I am always amazed how the Holy Sprit works. Awesome. I preached on Ephesians 2:1-10 about a year ago at my old church. I thought it flopped, but people said it was a great sermon. Great reminder! Very encouraging reminder. We know our goals and forget what God is up to. Amen!! Thanks for dropping by the blog. I had a dud last night. But, I’m glad that Jesus has chosen the weak things of the world to shame the wise. This is a great post! Very encouraging! Thank you! This really blessed me!!! Hah! Faithful are the wounds of a friend.